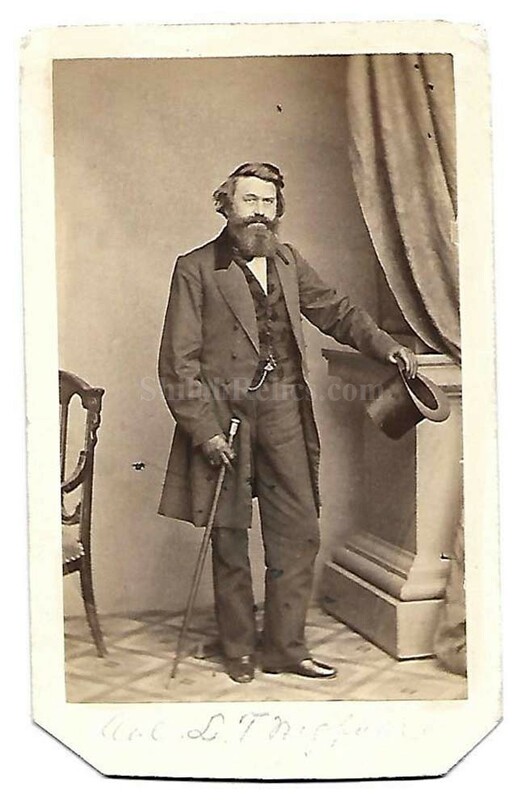 Here is a nice original CDV image of Confederate General Lewis Trezevant Wigfall. Wigfall was born near Edgefield, South Carolina on April 21, 1816. In 1839 he became a member of the South Carolina bar. In 1844 he moved to Marshall, Texas where he led a very political life. He served in the state legislature and then was elected to the United States Senate. On October 21, 1861 Jefferson Davis appointed him the rank of brigadier general. He resigned on February 20, 1862 to take a seat in the Confederate Senate and serve their until the end of the war. His political beliefs caused many disagreements with his former friend, Jefferson Davis. At the end of the war he left for England where he stayed until 1872. He died in Galveston, Texas on February 18, 1874. The image is nice and clear as you can see and shows Wigfall wearing a fine suit of clothes with his top hat in his lap and his cane in his hand. The bottom of the image has some damage that is mentioned for exactness. 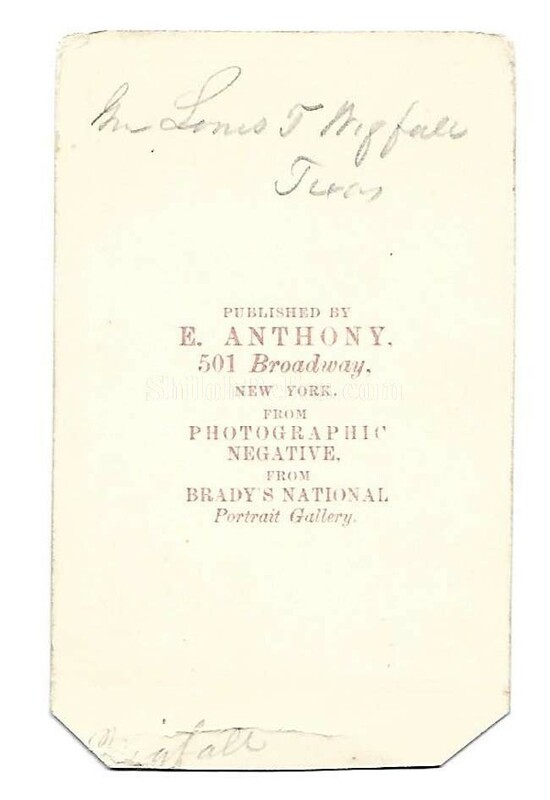 On the back of the card it has the notation that it is made from an image taken from a Matthew Brady negative and published by the New York City firm of E. & H.T. Anthony. 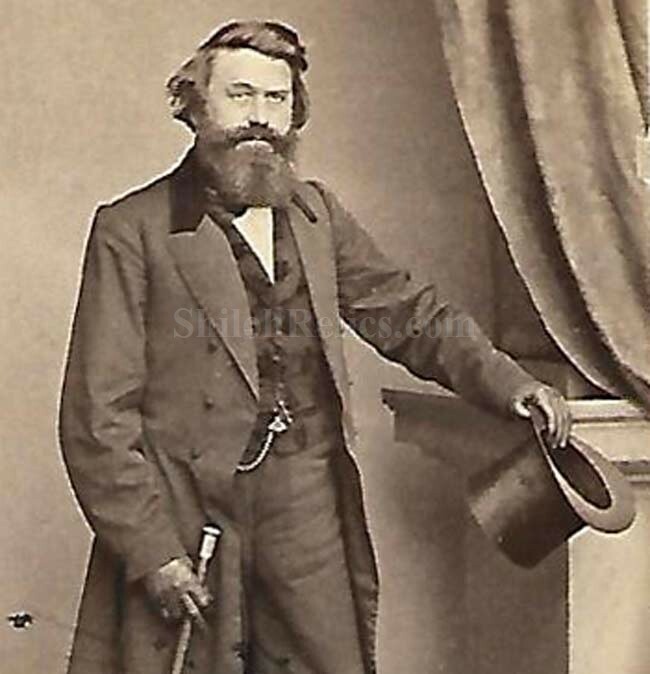 A fine image of an important Civil War Texan.